My friend Amanda puts on a really terrific series of booze-and-brains events in the Portland area. 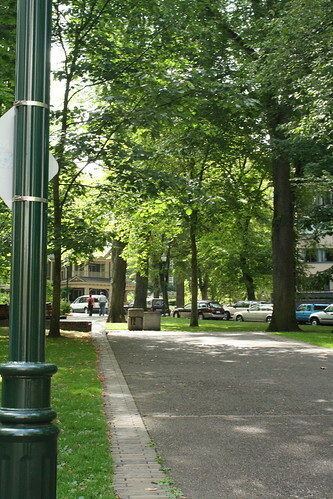 I spoke at one of the first Portland Nerd Nites last spring, talking about Whole Genome Sequencing. She’s branching out into the wilds of Washington state, Vancouver to be specific. So here’s some signal boost to get some of y’all Portlandians and SW Washingtonians out to live and learn. As it happens, I’ve seen Dr. Sherman talk before, and he is freaking hilarious. Come early if you want to order food and drinks and get a good seat! Is the brain chemistry behind our love for chocolate equivalent to that which drives infatuation with a new lover, the love of a particular song, or addiction? How does the brain sort out pleasure and discomfort? What drives our decisions to stay with one person for life or go from one lover to another, never settling down? This Nerd Nite will focus on these and other questions that reveal much about how neurochemical changes can have major effects on our behaviors—how we love, what we love, and who we love. Dr. Larry Sherman is a Professor of Cell and Developmental Biology and Neuroscience at OHSU. He was identified as someone who is “Changing our World” by Portland Monthly Magazine and the Oregon Museum of Science and Industry, and he was awarded OHSU Teacher of the Year in 2012. Yesterday, the scientist in charge of some of the big science behind my TIL cell therapy took us on a tour of his lab, as well as a flyby of the TIL Cell lab, where they are growing my wee little TIL cells to their full robustness (ca. 30-100 billion cells at the end of the process). 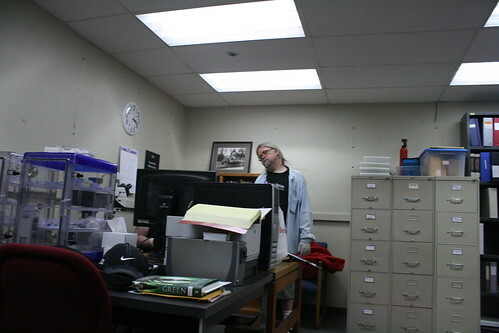 (I did secure permission to mention his name and use of these photos, for noncommercial purposes such as this blog.) Dr. Eric Tran, Ph.D., Postdoctoral Fellow, Surgery Branch, Tumor Immunology Section was kind enough to spend an hour walking us around and talking through the biology of what Dr. Rosenberg’s group is hoping to do for me. Dr. Tran his own self. 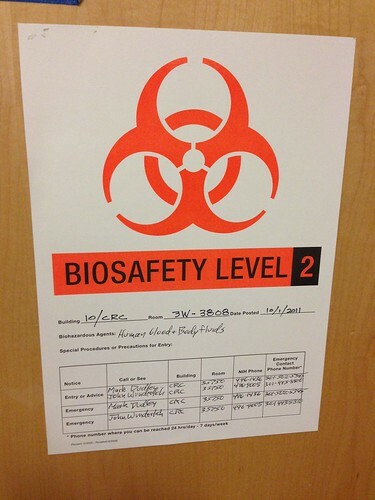 As is the case with most bio labs I’ve seen, at first glance there’s not all that much to look at. 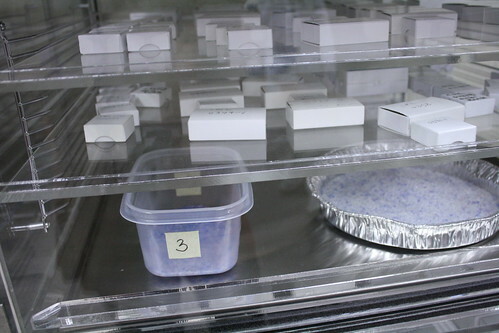 Everything important is happening in little dishes inside of incubators. But there’s still cool science stuff sitting around, and cool science people doing cool science things. And since this science has a great deal to do with the current attempt to extend my life and wrest more time from the thieving arms of cancer, I was very glad to see what I could see and learn what I could learn. 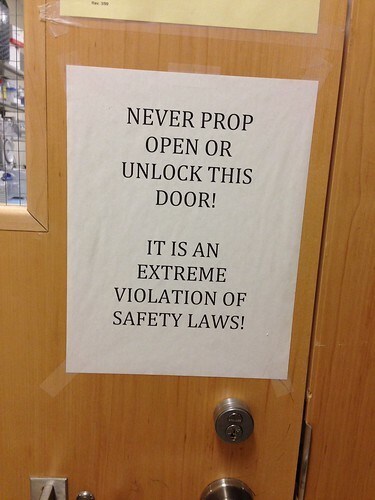 Typical lab sign. I took this to mean “don’t eat your lunch in here”. Except this one. I took this one to mean “don’t even think about ever having eaten your lunch in here”. 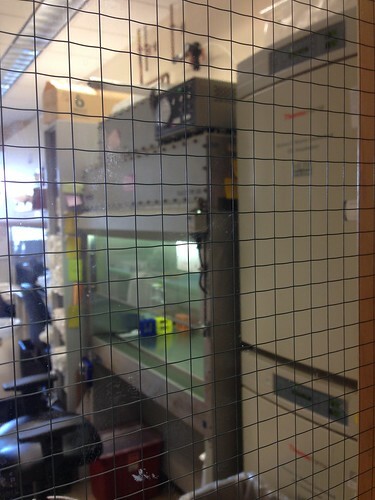 The lab where little bits of me are rapidly becoming lots more little bits of me. Hi, kids! He then took us down to another lab where other human TIL cells are being cultivated for experimental work rather than clinical treatment. 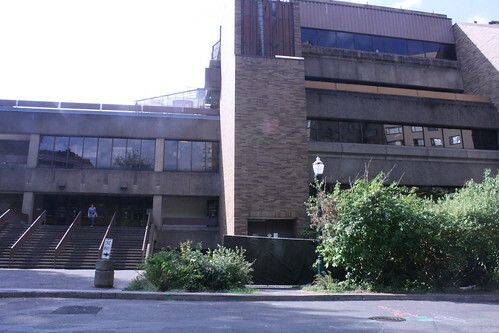 The official TIL cell lab, where bits of me ain’t. 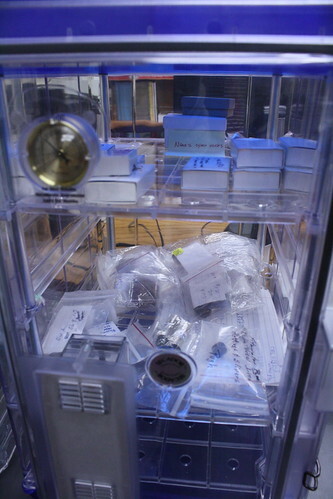 There we saw TIL cells in their media packages within the incubator, as well as under an optical microscope. This was pretty cool, as we saw the difference between activated and inactivated TIL cells. That distinction between inactive and active is one of the things on which this whole treatment concept hinges. Healthy human TIL cells can be found interpenetrated with many kinds of tumor tissue. They have an affinity for tumors, which allows them to locate and invade the tumor. But the cancer has an ability to inactivate them, or leave them inactivated, depending on the situation. In effect, the cancer can turn these immune cells off. Dr. Rosenberg’s group, through the work of researchers such as Dr. Tran, have found that the TIL cells can be reactivated. Once turned on, they will then attack the cancer cells which they previously interpenetrated on a quiescent basis. This works in the mouse model. This works in the petri dish with human cells. This works in some human cancers, such as melanomas. 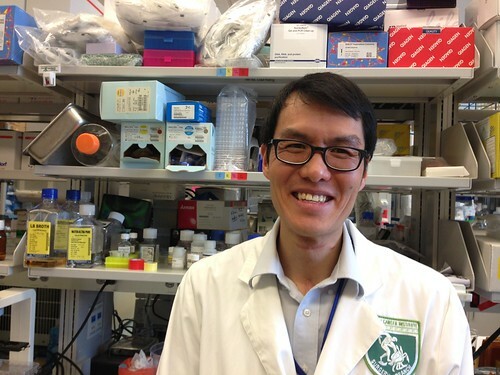 Dr. Tran’s area of study is how this might work in digestive cancers, such as my metastatic colon cancer. What they did after last Thursday’s surgery was mince most of the retrieved tumor tissue down to very fine pieces, a few millimeters in diameter at most. 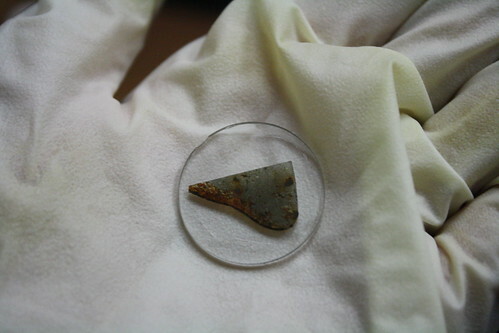 This is still much larger than the relevant cells, so most were not damaged. The tumor chunks were then placed in a medium which is very friendly to TIL cells. My TIL cells began outmigrating from the tumor chunks at a vigorous rate. Dr. Tran felt this was a good sign, which was also a comment made by my two primary doctors, Dr. Klebanoff and Dr. Klemen. My B cells derived from my recent apheresis have also been cultivating well. This makes all three of them hopeful for the next steps. Where things get kind of different for me is that thanks to all you folks out there in the world, I brought my own Whole Genome Sequencing (WGS) data to the party. In that data, the researchers found that my colon cancer has over 100 mutations, which is somewhat higher than normal, but not freakishly so. In identifying these mutations, the researchers can add an extra step to their protocol which they’ve only ever been able to do once before, and never with WGS data. That is to say, Dr. Tran will introduce those mutations specific to my cancer genome to my own B cells, then assessing whether my TIL cells react to any of the mutations as expressed in those B cells. In effect, Dr. Tran can select from among my TIL cells for those mostly likely to target known mutation sites in the cancer’s genome, and thus attack only the cancer cells in my body. This adds a layer of genomic medicine to the already distinctly high-tech immunotherapy which is being studied in this protocol. He can then be sure that Dr.s Klebanoff and Klemen are working with the best possible pool of TIL cells to put back into my body in the infusion phase of the protocol. This is about as cutting edge as it gets. The one other patient they tried this was someone they were able to do an Exome Sequencing run on, which can be critically valuable. I’m the first patient ever to bring the sequencing data in the door with me. And with my WGS data, Dr. Rosenberg’s team has the keys to the kingdom. So Dr. Tran is using Big Science and Big Data to build the most efficient TIL cell infusion possible for Drs. Klebanoff and Klemen to go after my cancer. The downside, such as it is, is that this filtering and selection of my TIL cells may add as much as a week to my TIL cell infusion start date, and may keep me in the NIH hospital as much as a week longer than we originally anticipated. It doesn’t get much cooler than this. New doors in immunotherapy and genomic medicine are being opened by my case, with your support, first of the Sequence a Science Fiction Writer fundraiser last year, and ongoing right now the Science Fiction Author on Trial (NIH trial, that is!) fundraiser. Even though we’ve met goal on the new fundraiser, the targeted mutation screening step has added several thousand more dollars to our costs by extending our stay in Maryland, so every dollar helps. By reading, by promoting, by donating, by supporting, this community of my friends and fans and readers and genre folk and cancer activists and patients and caregivers have helped slap down a big old paving stone on the path to better, more effective cancer treatments. I’m out at the pointy end of the stick right now, being helped by Dr. Tran and Dr. Klebanoff and Dr. Klemen and Lisa Costello and Dad and my family and friends, but none of us would be out here on the stick without you. I’ll leave you with this final thought from the hallway outside the labs. Photos © 2008, 2014, Joseph E. Lake, Jr. All photos taken with permission. I now have permission to talk in such detail as I am capable of about the Phase II clinical trial in which I have enrolled at the National Cancer Institute at the National Institutes of Health. The study is number 10-C-0166, “A Phase II Study Using Short-Term Cultured, Autologous Tumor-Infiltrating Lymphocytes Following a Lymphocyte Depleting Regimen in Metastatic Digestive Tract Cancers.” The principle investigator is Steven A. Rosenberg, M.D., Ph.D. of NCI. This is a immunotherapy study. Immunotherapy, as previously discussed, has been my preferred treatment modality for a clinical trial. Many if not most clinical trials for cancer are focused on refinements or new developments in chemotherapy, but in my case, chemotherapy has only ever been moderately effective at best. There’s a class of white blood calls called tumour-infiltrating lymphocytes, or TILs. These are healthy cells from the body’s immune system which can be found inside of tumors, but in an inactive state with respect to immune response. Loosely speaking, what this study does is harvest TILs from one of my tumors, grow them in a lab to volumes many orders of magnitude larger than they would normally be found in my body, return them to my body and activate them pharmaceutically. The general idea is that these TIL cells, which already know how to find their way into the tumor tissues, will return in those fantastically larger numbers and halt tumor growth as well as inducing shrinkage. It’s an approach that apparently works well in the mouse model, as well as in the petri dish with human cells. This has been tried on human subjects with advanced melanomas to a reasonable degree of success. That was the initial phase of this trial. The trial has since passed in Phase II, with a larger melanoma patient cohort, but the investigators have also added a gastric cancer cohort. I will be the first metastatic colorectal cancer patient in the trial, though they have seen significant success with a closely related cancer. While I was at NIH last week, I underwent apheresis to harvest white cells for the TIL growth medium. I have now been formally scheduled for a thoracotomy on January 23rd. I will be flying back to the DC area on January 21st to be admitted to the NIH hospital for this procedure. The thoracotomy will probably be a wedge resection, though the teams have not finalized which lung. I have candidate tumors in both lungs, but there’s trade-offs to each approach. The left lung has a better tumor from their perspective, but the surgical team is concerned about possible adhesions and scarring from my 2009 left thoractomy. The right lung has an adequate candidate tumor (two of them, in fact), without the potential complications. 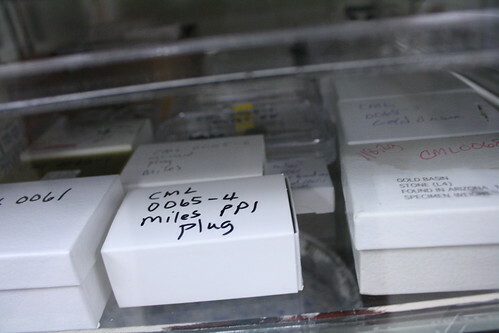 Once the tumor tissue has been harvested, it will be taken to the laboratory where TIL cell extraction will take place. TIL cell growth to the required volumes takes at least three weeks, sometimes longer. 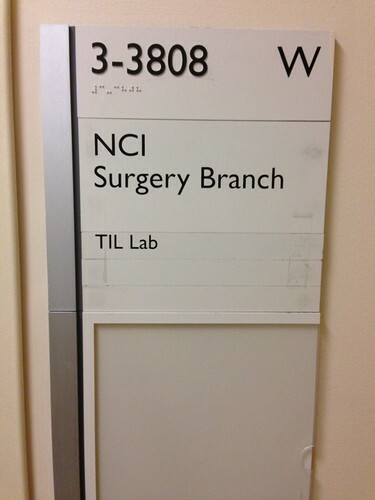 This means that around or shortly after February 13th I will begin my TIL cell infusion process. In the mean time, I need to recover from the lung surgery. Once they have gauged the growth rate of my extracted TIL cells, the doctors will confirm a target date for the infusion process. I will actually return to the hospital about eight days prior to that target date, possibly as little as a week or ten days after my post-operative discharge. There is a seven day non-therapeutic chemotherapy process which I must undergo with the specific intention of wiping out my immune system in preparation for the TIL cell infusion. This will result in me being profoundly immunocompromised for a while. That in turn means the TIL cells will be essentially the only thing working in my immune system at the time of infusion. I will receive them for one to five days, depending on my response, along with helper drugs to facilitate both their growth and survival. I will then spend about another two weeks in the hospital while my immune system recovers. I will return to Maryland periodically for follow-up assessments, perhaps once per month. There is no set end date for this process. The investigating team will continue to monitor me so long as positive results can be identified — that is to say, tumor shrinkage without a significant rebound of the growth rate. This is a “one shot” treatment, though results can manifest for months, even a year or more, if it is successful. The list of risks and potential side effects is frankly frightening. 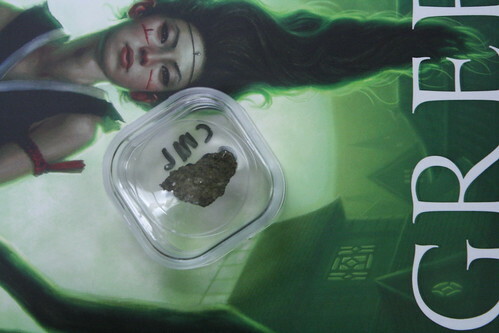 That is in part due to the complex of multiple drugs, each carrying its own list of issues. I will be very fatigued for weeks afterwards, and may have trouble with my immune system for some time to come. This is also a pretty low probability effort. Only about a dozen gastric cancer patients have been exposed to this protocol. Desperate measures, if you will, for desperate times. On the other hand, this is Very Big Science. The cutting edge of cancer treatment, at the most prominent biomedical research organization in the world. I’m not going to get much better than this. I’m excited about the possibilities for my health. I’m excited about being part of Very Big Science. I’m excited knowing that whatever happens to me, this study could eventually help treat or even cure untold numbers of cancer patients. As awful and deadly and sobering as my cancer journey has become, this is also cool. Like I’ve said before, the war was lost a while back. We’re just still fighting battles because I have been too stubborn to die. With any luck, this battle will buy me another six months or a year on the front lines. It’s expensive. Lisa Costello, Dad and I have spent just under $9,000 out of our collective pockets already simply to get me to this point — that was the cost of our two weeks at NIH, including airfare, hotel, rental car and food. NIH provides some reimbursement, but it offsets less than 10% of that cost. We’ll spend about that much again over the next six or seven weeks as I transition through the stages of this clinical trial. Shortly I’ll be passing the hat again, though I’m going to need some help to set that up. Watch this space for details. Meanwhile, this science fiction writer is diving into Very Big Science to try to stave off death a little longer. Thank you for coming along even this far. In other words, my entire genome has gone open source. While I’m not absolutely certain this is true, it appears to be the first time that an entire human Whole Genome Sequencing data set has been released open source. If not the very first time, one of the first times. None of this would have been possible without all of you who helped make the fundraiser succeed. For my own part, cancer will claim my life soon enough. Releasing my Whole Genome Sequence to the world is one small way I can fight back against the disease. Not directly, of course, but as a way of helping students and researchers around the world become smarter about human health and life in general. Last night after our return from the coast, the_child and I scooted over to the OMSI for their Mars landing viewing party. This was held in the planetarium there, with NASA’s JPL feed projected on the dome, and a second projection of a very sophisticated Mars lander simulator. 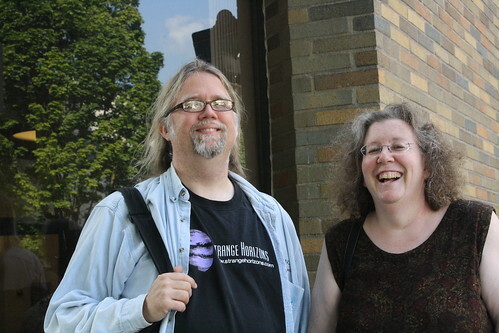 We’d planned on meeting davidlevine and kateyule there, and had even saved them seats in the planetarium, but by the time they arrived the ushers were directing people to overflow seating in the theater. @rick_lovett did find us there. He was on assignment for National Geographic (I think) covering public reactions to the landing. the_child wound up talking to him for a while. The planetarium was packed. As David said to me in a text, science is popular in Portland. There was a big turnout of uniformed Civil Air Patrol cadets, and a ton of regular people. Interestingly, it was a cross-section of folks. Not just obvious geeks is what I mean. They had a few speakers and presentations, but mostly focused on the NASA feed. Plus there was a giant, inflatable Curiosity in the lobby. 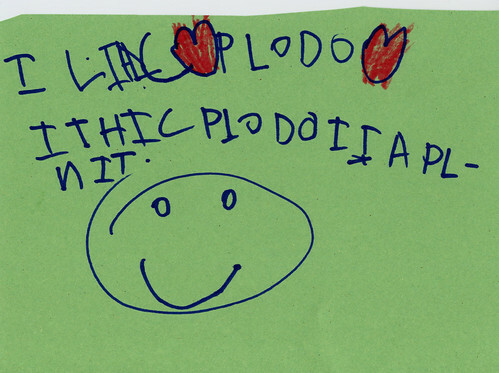 the_child very much got into the spirit of things. Especially the nerve-wracking period of time once the lander was committed to de-orbiting. 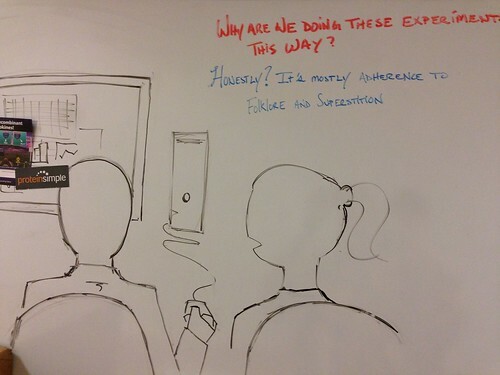 The room reflected the tension of the JPL team. She asked a lot of questions, some of them quite insightful and some of them inane. Those latter were her bleeding off her own nervousness. Interestingly to me, she was able to articulate the basic issues of lightspeed lag and simultaneity simply from paying attention to the NASA feed. We wound up having a long talk about that in the car on the way home, and also about conservation of momentum. Newton’s first law isn’t intuitive to her. She’s still trying to wrap her head around that one. I love the way her brain works. Of course we could have watched this in my living room on our laptops. It’s not like we were at JPL, let alone on Mars ourselves. But the shared experience of watching with a group of interested, fascinated fellow citizens was worth the trouble. The group energy of science isn’t something one gets to be a part of very often in everyday American life. The wild applause and the beaming pride at the successful landing was very uplifting indeed. 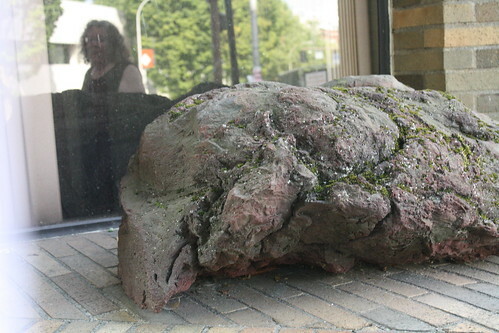 And, hey, Curiosity is on Mars, and my kid got to think some big thoughts. As I said to Rick at the event, history begins here. Last night I went to OMSI Science Pub at the Bagdad with lillypond (a/k/a my sister), rekr8 and a bunch of other folks to hear Phil Plait, the Bad Astronomer, give his Death From the Skies talk. The BA was every bit as erudite and entertaining as I had hoped. He’s a very engaging speaker with a personal style that is in the same quadrant as my own. In part, I was taking mental notes on how to improve my speaking skills, as there were a number of things I could learn directly from him. The presentation itself covered a topic with which I am already reasonably familiar — asteroids, comets and Earth impacts — but colored in an enormous amount of detail for me. I learned a lot in that respect, as well. Afterwards, I got to hang a little while with the Science Pub crew as they took him out for a drink. I don’t fanboi out much, but did enough to get that photo and chat Dr. Plait up a bit. A lot of fun, if a rather late night for me. Photo © 2012 Scott Frey, used with permission. A topic of conversation that’s cropped up several times recently is the question of evolutionary overdesign in the East African Plains Ape, also known as Homo sapiens. Which is to say, us. Consider some of the basic performance specs for said plains ape. How is any of that implied in the design specs? What was the evolutionary selection pressure that gave us the capacity for differential calculus or pentatonic scales? Why can anyone manage a parachute jump or a deep sea dive? How does looking for ripe fruit in the jungle canopy correspond to hunting for exoplanets? Our species’ evolutionary overdesign allows us to work marvels, every day. I am continually astonished at all we do, from small tasks in the kitchen to the workings of entire cultures the world over. if I were sufficiently deranged and mentally incapacitated to be a Creationist, I would take all this as evidence for a Creator or an Intelligent Designer. Since I actually have a logical mind capable of empirical thinking, I take this a signifier of the majesty of nature and all her creations. We don’t need to look to the world of the imaginary for miracles. We are miracles. © 2009 D. Otteman and M. Lake. All rights reserved. 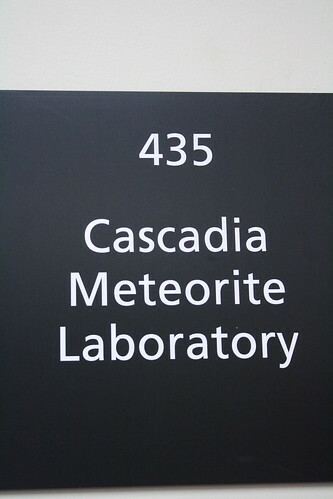 Today, at the invitation of Dr. Melinda Hutson, and I visited the Cascadia Meteorite Laboratory on the campus of Portland State University, here in sunny Portland, OR. 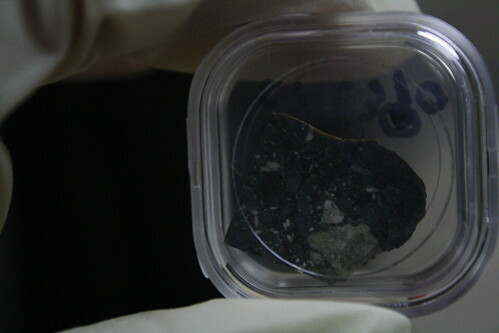 There we got to hold in our hands pieces of outer space, including fragments of the Moon and Mars. That may be one of the coolest things we’ve ever done. Dr. Hutson showed us the lab facility itself, along with a number of samples, as well some of the research processes in which they engage. In explaining the following, any errors in the science are certainly my own, rather than Dr. Hutson’s. 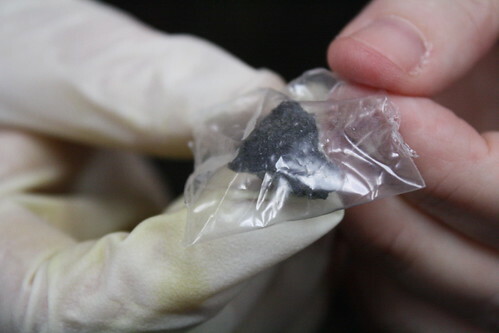 They’re one of about dozen labs in the United States, perhaps a score worldwide, that engages in meteorite classification and analysis. Classification is important, because it’s how all other study begins. 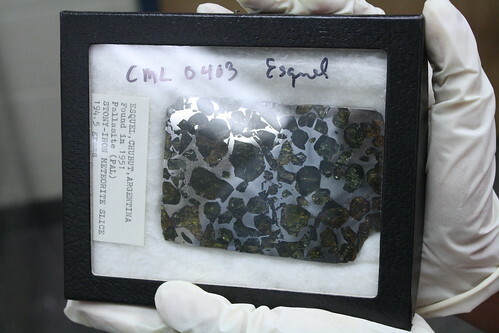 She showed us examples of chondrites (or stony) meteorites, nickel-iron meteorites, mixed meteorites, as well as Lunar and Martian meteorites. The Lunar and Martian falls are a result of large impactors striking the surface of those respective bodies with sufficient force to loft ejecta moving faster than local escape velocity. Dr. Hutson explained that the classification relies on the mineral content and ratios, and there’s no overlap between the source bodies. The Martian sources can be confirmed by spectroscopic analysis of gasses trapped in the meteorite during its exit from Mars, as the heated rock is cooled and quenched by the atmosphere through which it passes. That gas profile in turn can be compared to observations from the Viking landers. 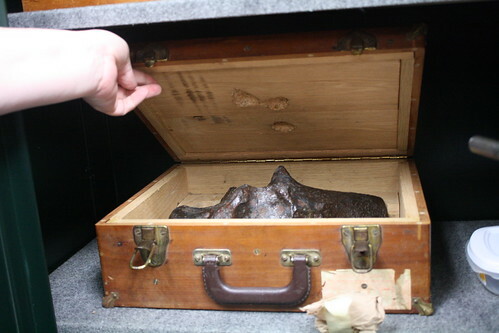 Though we did not get to touch the rocks directly, we were able to handle the sample cases and look at them closely. and I both had pieces of other planets in our hands this afternoon. 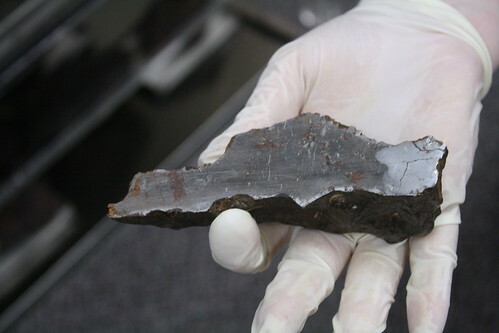 Dr. Hutson talked about all sorts of meteorite lore. 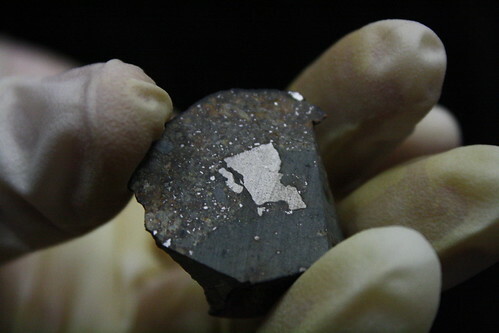 For example, some nickel-iron meteorites are in effect stainless steel. 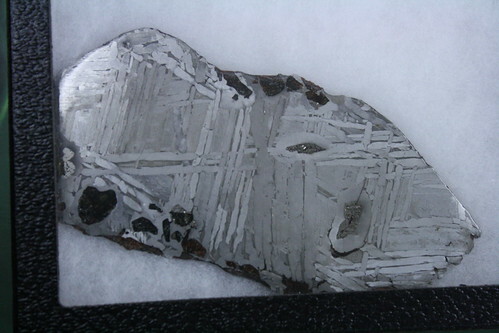 Due to the conditions of their formation, they have unusual crystalline structures in the metal which are not found in terrestrial iron. 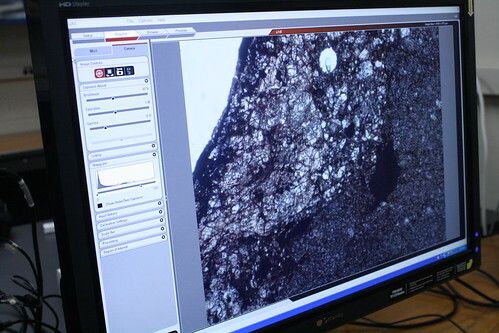 We also talked about the work this lab does, primarily on shock deformation of mixed meteorites, resulting in metallic inclusions in chondritic materials. This is significant because it affects modeling of how the early Solar System was formed. While their major projects, including the shock deformation research, are funded by NASA, the NSF and other sources, nothing gets done without the initial classification work. 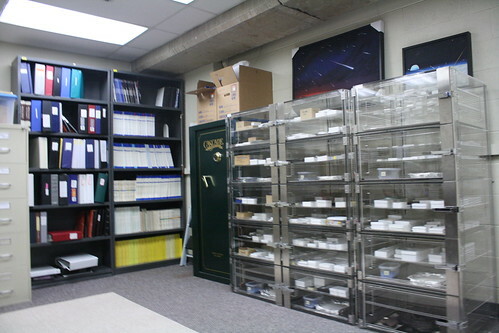 The lab has literally hundreds of samples, and about 150 are awaiting classification, with more coming in all the time. 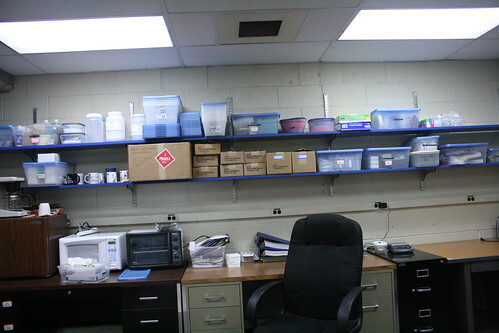 Classification costs about $400 to $500 per sample, for supplies, equipment run time and other direct expenses, and that is completely unfunded. 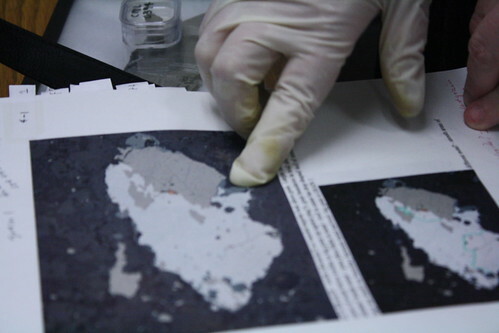 The lab is only able to classify samples through the support of private donations. 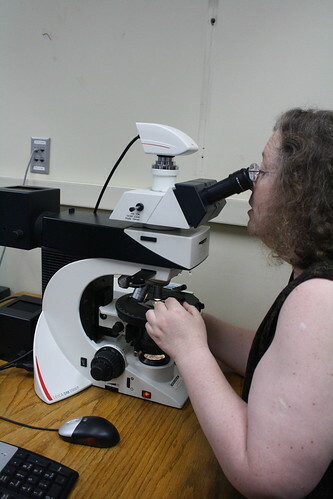 If you’re interested in meteors or meteoritology, consider making a donation to the lab. I know I will be. Dr. Hutson and her fellow researchers have accomplished an enormous amount on a very limited budget, but the backlog only grows, and nothing in the classification processhappens without direct support from individuals and corporate gifts. Most importantly, I want to thank Dr. Hutson for her time in showing me and these fragments from around our solar system. To see and hold them was a special kind of magic, a skyfall of our own. 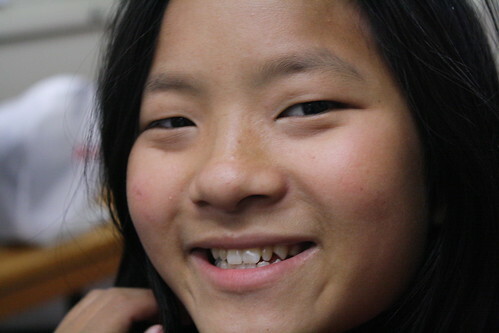 © 2009 by B. Lake and Joseph E. Lake, Jr. This work by B. Lake and Joseph E. Lake, Jr. is licensed under a Creative Commons Attribution-Noncommercial-Share Alike 3.0 United States License.